Welcome to another adventure within the multiverse! 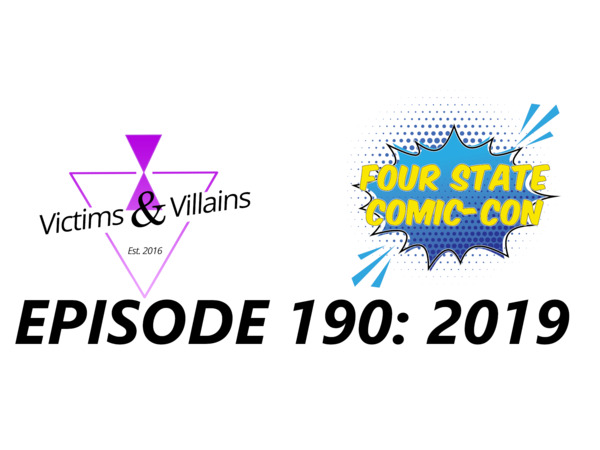 For this adventure, we are venturing into the world of the convention floor for one of our favorite conventions: FOUR STATE COMIC CON. This adventure has something for everyone. A little bit of familiar faces, zombies, the end of the world, new podcasting friends and more. Thanks to the guys over at Four State Comic Con for having us. Special thanks to Christopher Lumzer for producing the panel portion of this episode as well. For more information on this episode and its creators: click here. Panel produced by Christopher Lumzer. Promos in this episode are The Long Coat Mafia Podcast & Creature Feature Weekend. Music by Logan McElroy and Shawn Davis. The X-Files are property of Fox. We do not own nor claim any rights. The Flash & Man of Steel are property of Warner Brothers & DC Comics. We do not own nor claim any rights. Super Smash Bros is property of Nintendo. We do not own nor claim any rights.